This organizational element of the 1st NAEF includes both Founding Members and Non-Founding (new) Members to the organization irrespective of military or civilian background. 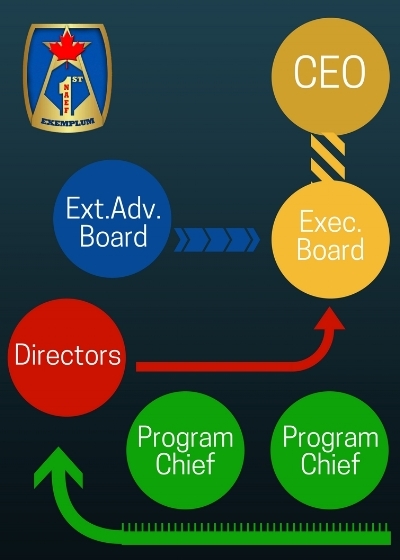 Executive Board Members currently and actively participate in running the organization. Their No. 1 drive and responsibility is working on behalf of the 1st NAEF's goals and mission in providing assistance to vulnerable populations. This organizational element of the 1st NAEF is comprised of prestigious subject matter experts from fields aligned with the goals and mission of the 1st NAEF. EAB members provide support to concepts, activities and projects undertaken by the 1st NAEF.